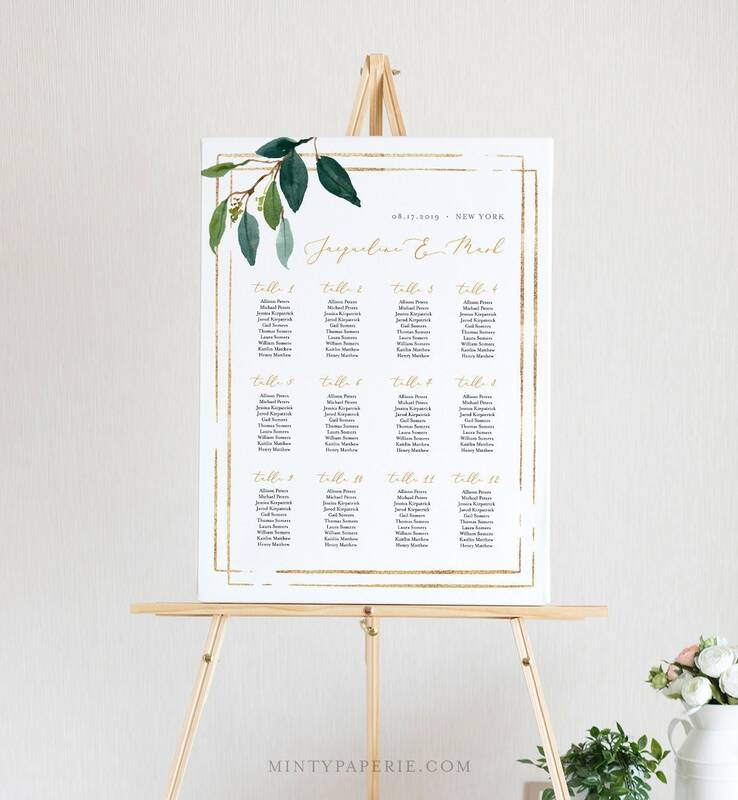 This WEDDING SEATING CHART template feature hand-painted greenery foliage with a gold foil border. 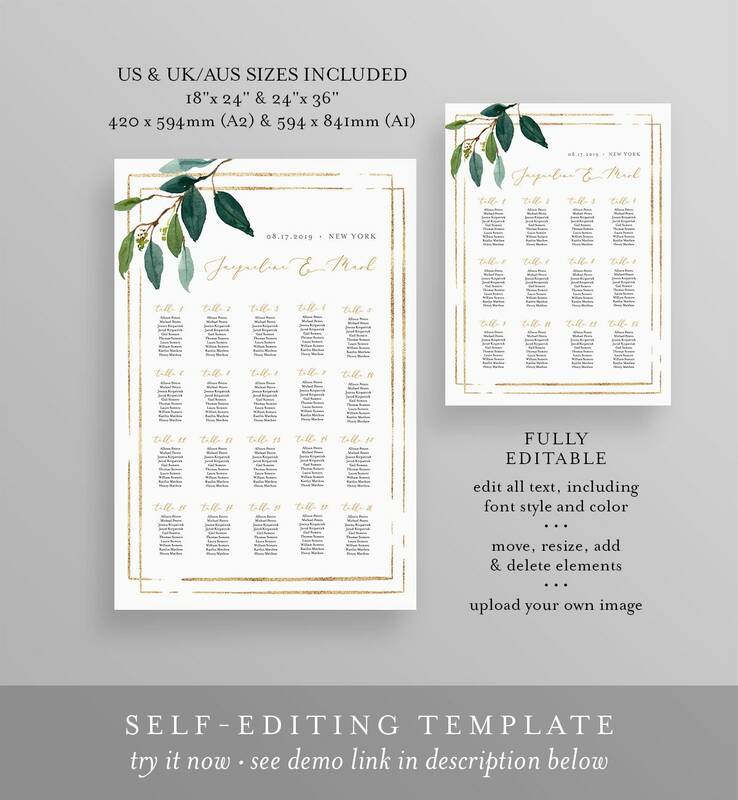 It's an INSTANT DOWNLOAD, so you get to access your templates within minutes of purchase. 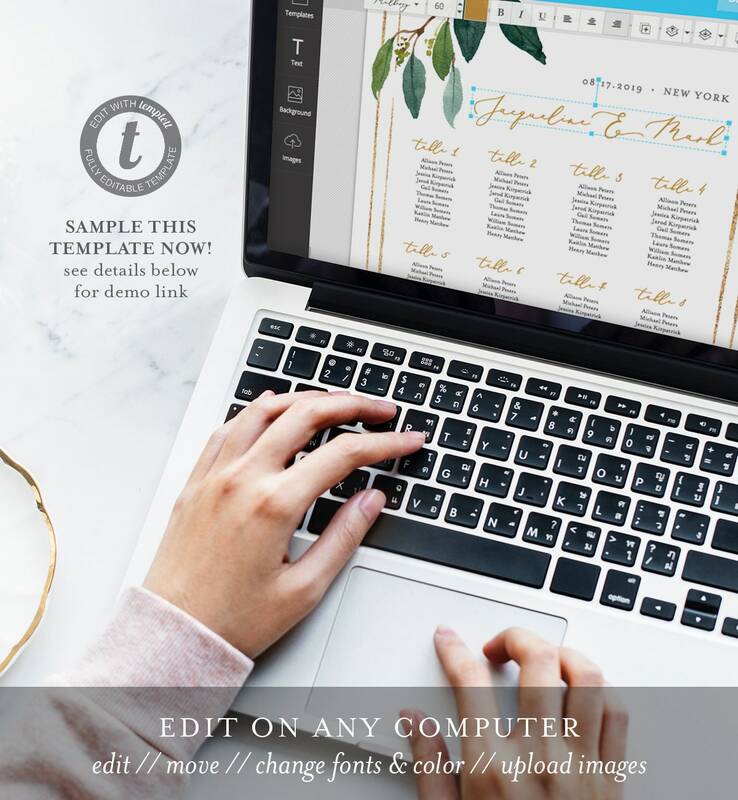 Edit in TEMPLETT - A fully customizable template editor that allows you to personalize your printable directly in your web browser. No software to install or fonts to download.